The Joe Pug story goes a little like this: clever kid with a way with words goes off to college to learn how to be a playwright. Makes it through a few years of study. Learns a thing or two about plot, structure, character. Learns how to be damn fine storyteller. Also learns that he doesn’t really care for college. He is unhappy. He wants out. He wants to pick up the guitar with serious intent. Australian fans who caught Pug’s captivating shows here late last year do not need to be persuaded of the performer’s gift. With a cheeky grin and a good dose of Yankee charm he wooed his audience well. But the young troubadour showed more than just stagecraft. He delivered stories that were tender, pensive and moving. Deceptively simple images became plot points, three-minute soliloquys carefully reached crescendo. Slowly, surely the tragedy upon which all great Americana songwriting is built began to unfold. 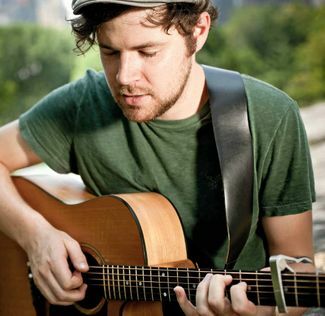 When I spoke to him long-distance a few weeks back ahead of his current Australian tour, it seemed perhaps unsurprising then to find that the singer, who is currently writing songs for his sophomore album, had just begun reading perhaps the greatest tragedy of them all, Hamlet. “I’ve never read it before,” he laughs down the phone. I don’t blame him. I majored in English and spent as much time studying as I did actively avoided a whole bunch of required reading. It’s a good point, well made. Readiness, as distinct from preparedness or willingness. Does he feel ready to record the follow-up to Messenger? Taking a break from the battlefield of crafting songs, Joe Pug has found his way back to Australia once more for a March tour. But even though we might be feeling ready for new tunes, I’m told those new songs will remain in the vault for a little while yet. And so the new stories stay safe guarded for now. But the old tunes remain: solid and aching and true. Well worth the price of admission. Well worth a few hours of your time. Well worth being ready for. 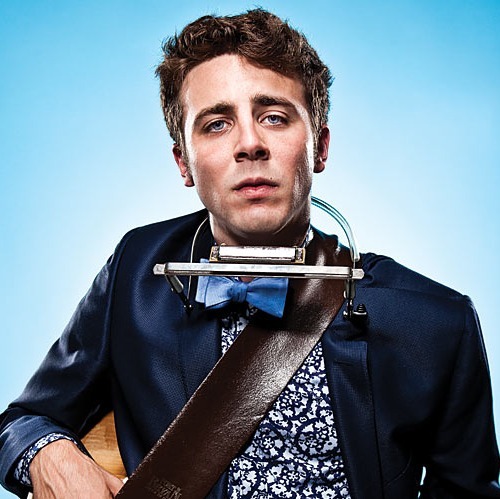 Joe Pug’s tour details are here. Thank me for it later. In anticipation of her first ever Australian tour, I’d like to share this vintage video of the sublime Nanci Griffith. The sweet-as-apple-pie Texan has been making records since 1978 but has never managed to make it Down Under…until now. Like Bruce Springsteen, Griffith makes music that seems to hit at the heart of the American experience. Her songs tells stories of nostalgic longing, love lost and gained and lost again. When I’m imagining the childhood in America I never had, I think of Nanci Griffith and her bittersweet stories of growing up in Texas. The song on the youtube video above is actually called ‘Love At The Five And Dime’ but I couldn’t find an accurately titled version of this online with the same adorable story at the beginning. Enjoy it anyhow! Nanci Griffith will play The National in Melbourne on March 10, and the Metro Theatre in Sydney on March 15. And… I’ve put in a request to interview her on In The Pines, so fingers crossed.